Please determine your Carbonite version before following the instructions below. 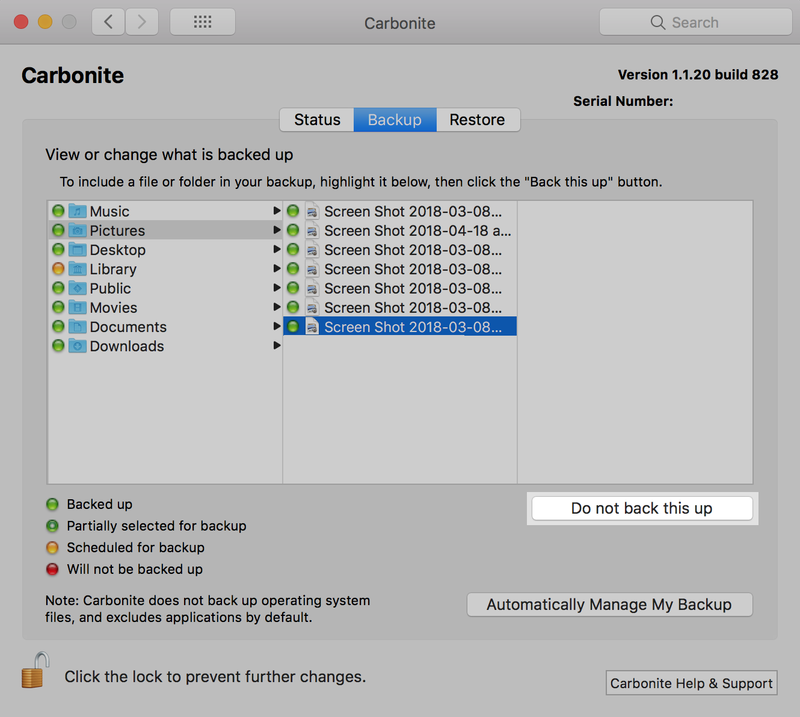 With Carbonite version 1.x, you can manage your backup from within the Carbonite Preference Pane. 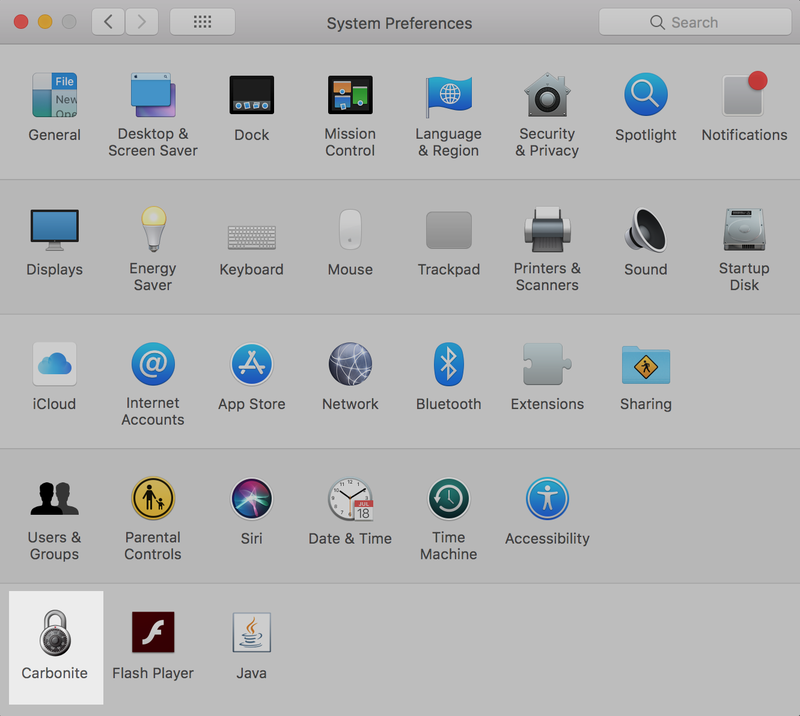 A green or yellow dot will be displayed on the icons of files, folders or hard drives included in your backup; a red dot will be displayed on the icons of files, folders or hard drives that are not included in your backup. Note: If you don't immediately see the screen displayed below, click the Manually Manage My Backup button within the Backup tab to view your backed up files. 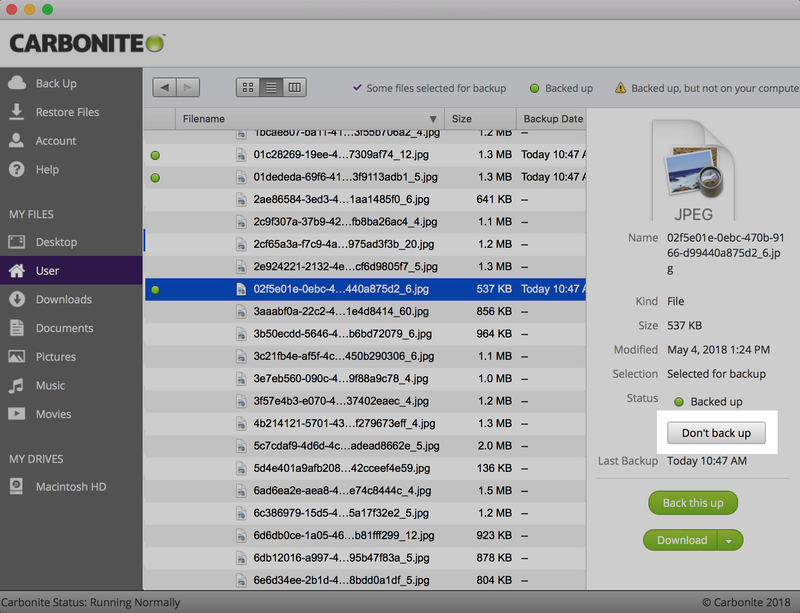 Locate a backed up file and click the Do not back this up button. The status dot will change to red, indicating that the file is no longer backed up with Carbonite. The file will be removed from the Carbonite servers within 72 hours. These instructions can be used to remove a folder from the backup as well. 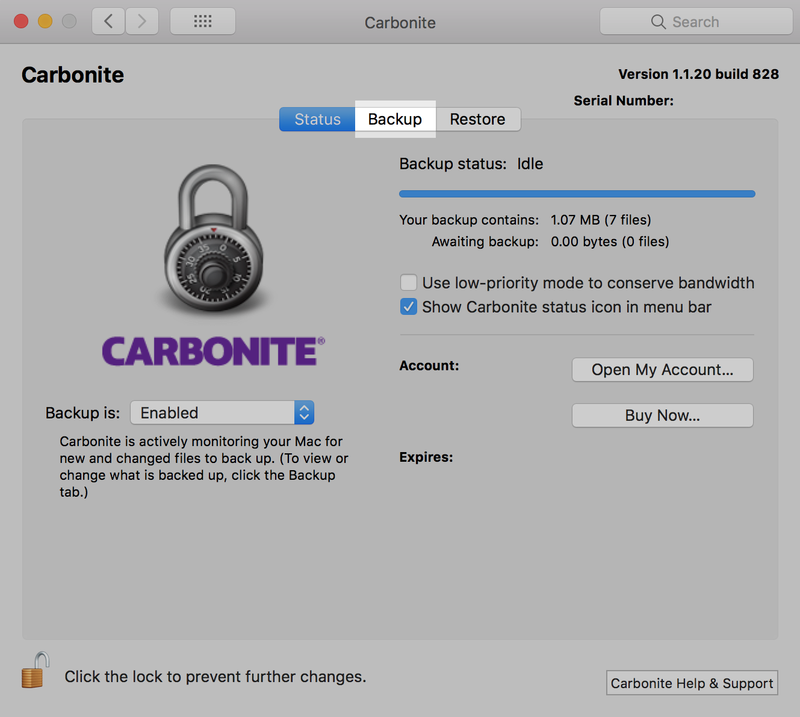 With Carbonite version 2.x, you can manage your backup from within the Carbonite User Interface. 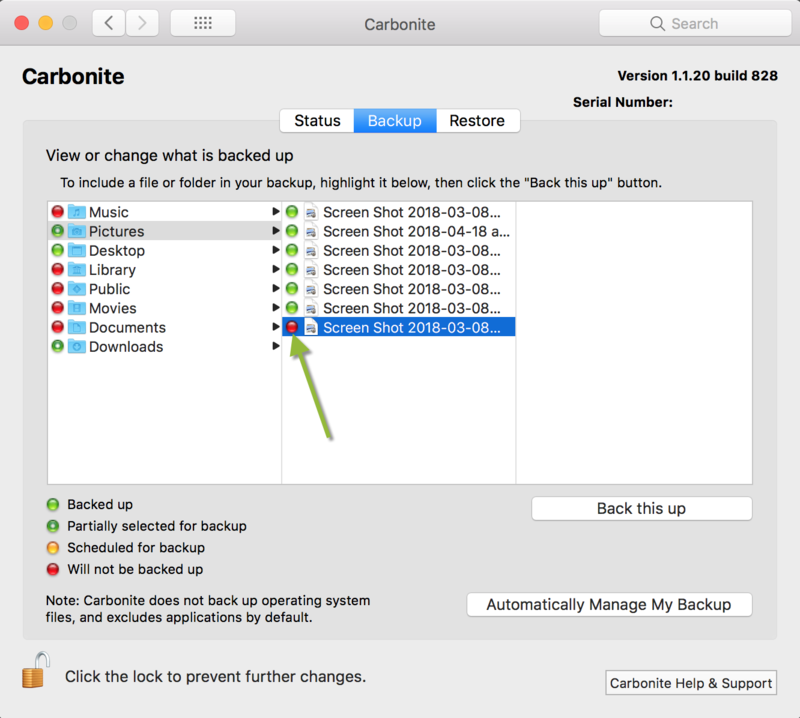 To remove a file or folder from your backup, locate it within the Carbonite User Interface, select it, and click the Don't back up button. 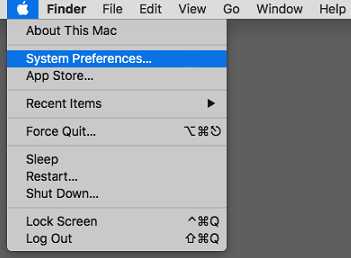 To open the Carbonite User Interface, click the Carbonite Dot icon in the menu bar and select Open Carbonite. The Carbonite User Interface will be displayed. Navigate to the file, folder, or hard drive you wish to remove from your backup from within the MY FILES or DRIVES sections. After locating, highlight the file and click the Don't back up button to remove it from your backup. The status icon will be removed from the file and it will no longer be selected for backup.